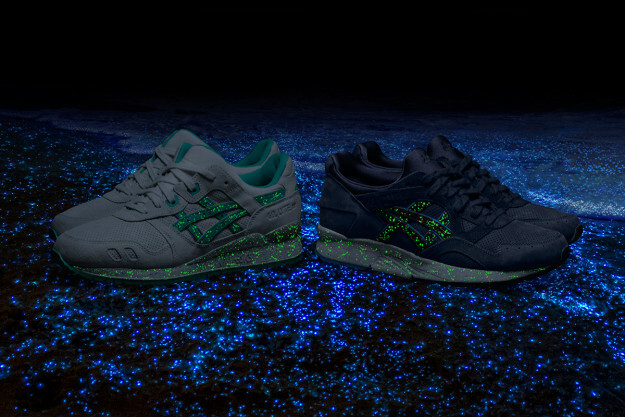 The ASICS GEL-Lyte III shoes are pretty popular already, and you would think that there are enough versions and unique colorways to choose from out there, but there’s always room for a glow-in-the-dark model, isn’t it? 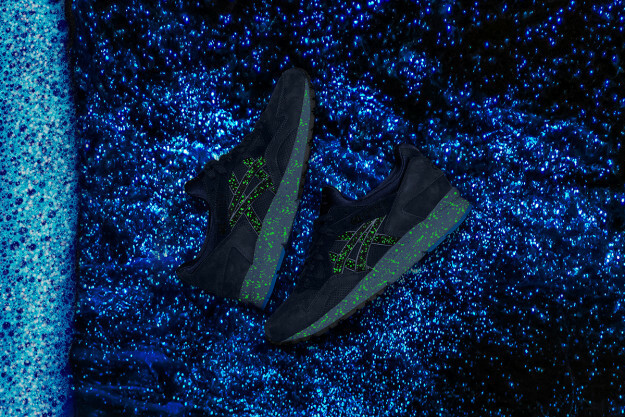 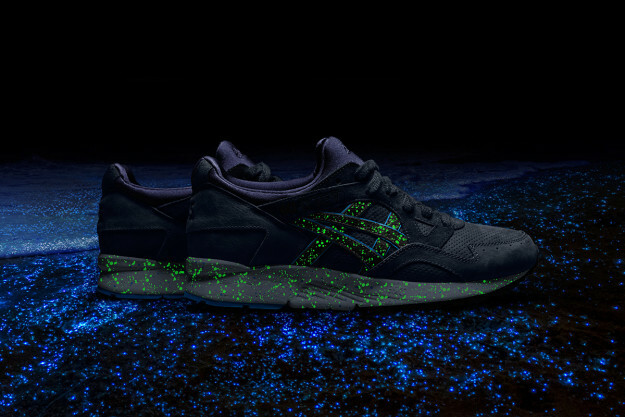 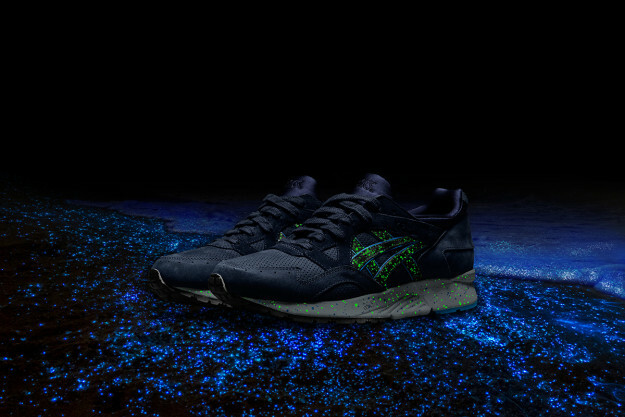 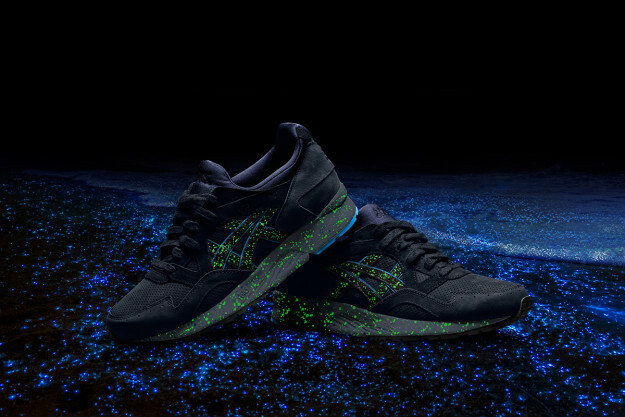 Inspired by the glowing plankton of the Maldives, both the GEL-Lyte III and the GEL-Lyte V silhouettes feature glowing speckles across the midsole and the stripes on the upper. 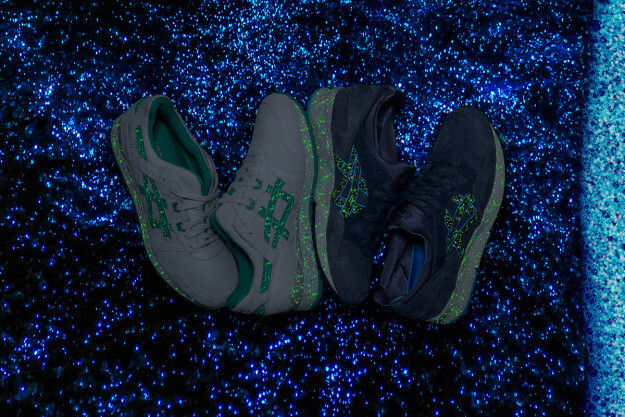 The latter has a navy upper that evokes the depths of the ocean, while the former sports an off-white suede upper with mint stripes nodding to the sandy coasts of the Maldives.